Data from The National Association of Realtors showed home resales in October climbed 2.1 percent, selling 4.79 million units in total. Even better, the market showed a strengthening in demand for new homes in the broad housing market, encompassing a six-year high in the sales of units in projects being developed and aimed to be delivered within the next three years. The rise in demand beat expectations of Wall Street analysts, and suggests that optimism has returned to the otherwise sluggish housing market. 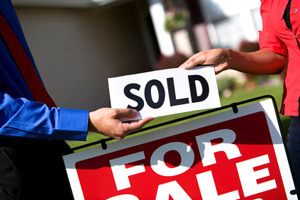 There was also a significant decrease of home sales under distressed conditions including foreclosures and such. Even though the bulk of the sales surge occurred in the later quarters, the rise in prices of homes, combined with the faster pace of sales and turnover of properties also show that market has finally turned the corner this year, emerging from the housing mortgage debt bubble burst in 2007. The latest housing data also suggested that even though Superstorm Sandy caused some home prices to fall in the Northeast corridor, consumer sentiment is still at peak levels from a year earlier, and would only leave a temporary impact on the market. In fact, home improvement store Lowe's reported a surge in sales, and even suggest that individuals that need to undergo home improvement for damages due to the hurricane are doing "more extensive" work, going beyond what needs to be repaired and investing in their homes. Asked of his expert opinion, Lexington, MA-based IHS Global Insight economist Patrick Newport divulged that "the housing market is continuing to improve. It's probably improving more than most economists were projecting earlier this year."